Can I Use Bamboo Plywood Outside? 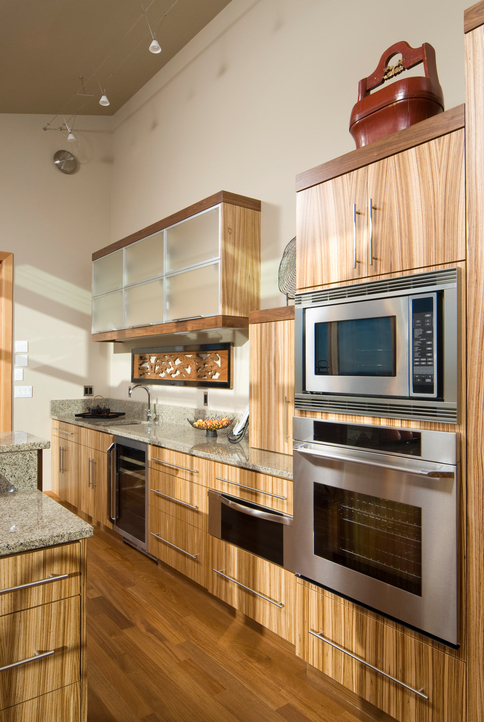 Home › Plywood › Can Bamboo Plywood Be Used For an Exterior Home Improvement Project? Can Bamboo Plywood Be Used For an Exterior Home Improvement Project? Planning to build a potting shed or some custom built-in planters for the patio? 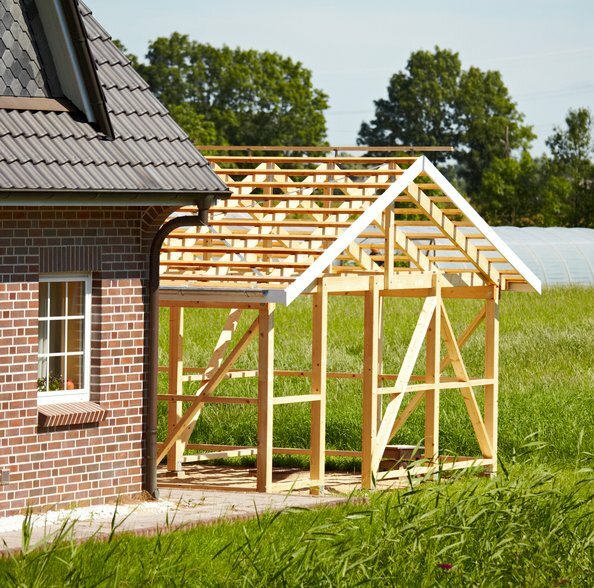 Bamboo plywood, with all its many wonderful characteristics, is unfortunately, not recommended for use for exterior structures unless you live in an area with stable year around humidity and the panels are treated to stand up to the weather. Even though some manufacturers of bamboo plywood describe it as “great to use indoors or out”, the truth is, bamboo is a wood product that hasn’t been chemically treated for outdoor use. If you’re considering bamboo plywood for an outdoor project, make sure you finish it with a product like polyurethane to help it resist deteriorating due to weather. A good outdoor alternative to bamboo plywood is marine- grade plywood, which can withstand moisture and stand up to different weather conditions, although it lacks the Earth-friendly qualities of bamboo plywood. But don’t count out bamboo plywood just yet because it happens to be the perfect material for all sorts of indoor projects. Bamboo is one of the fastest growing plants on the planet. Due to its rapid growth properties, an abundance of the resource nearly world-wide, its dimensional stability, and tensile properties, bamboo makes an ideal material for plywood. 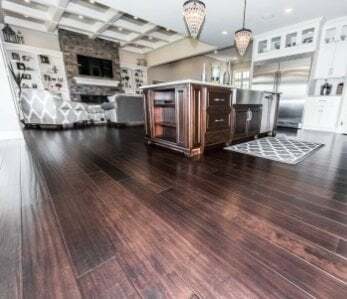 It’s a green, eco-friendly choice, has a gorgeous look and character all its own, and is by far stronger than almost every hardwood you can name! (It’s also way more attractive than ordinary plywood!) About the only interior project, it’s not well-suited to is an interior door. Whether you’re talking about kitchen or bathroom cabinetry, bamboo plywood will give your room a distinctive look and durable performance. 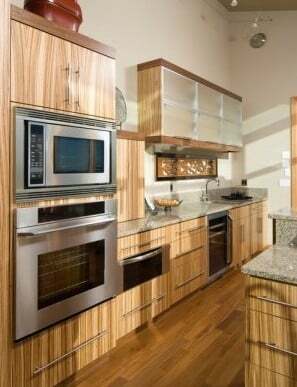 Check out these simple flat-panel bamboo plywood cabinets and island base! 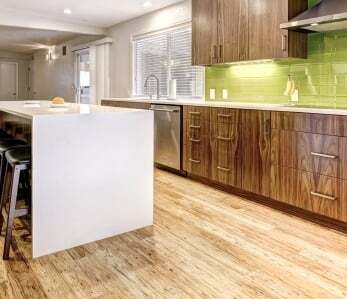 Bamboo plywood makes for a unique, super-strong, and stunning kitchen counter top, whether you use it throughout the kitchen or on an island that you’ll use for food prep and casual dining — or both. Just be sure that your final finish is food-safe like mineral oil or a wax product like Minwax Paste Finishing Wax. 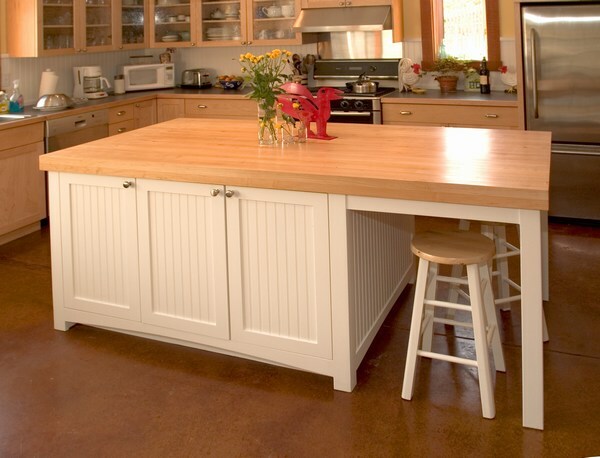 You’ll love the durability of bamboo counter tops, and you’ll get lots of compliments on them too! Plywood walls are becoming trendy and bamboo plywood takes them to a whole new level, as seen in this serene woodland home with bamboo plywood walls. Do an entire room or a create a unique accent wall. Bamboo walls impart a clean, fresh, outdoor feeling to a room, and add an air of sophistication as well, which is why they’re often used in commercial applications like hotels as well as in high-end homes. When your bamboo plywood arrives at your home, it’s important to acclimate it to your work area before beginning your project. Afterwords, let it acclimate to the room where you’ll be installing it, too. To acclimate your bamboo plywood, simply open all packaging and let the plywood sit for 5-10 days undisturbed and lying flat on a table or the floor. As mentioned bamboo plywood is hard — really hard. (Studies have shown that bamboo has a higher compressive strength than concrete and a tensile strength that is close to steel!) For that reason, it’s best to use sharp, fine-toothed saw blades to cut it. Finish nails and a tack hammer are handy tools for working with bamboo plywood since they’re less likely to cause splitting. Another trick to make working with this hard material a breeze is to drill pilot holes for nails or screws. It’s also important to keep the temperature in your work area somewhere between 30 and 90 degrees Fahrenheit, and the humidity level between 40 and 60 percent for best results. Most hardwoods aren’t made into plywood since the cost would be prohibitive. Not so with bamboo. It’s typically sold in 4′ x 8′ sheets, starting at about $110-$150 (depending on grain) for the most common 1/4″ thickness, $120-$180 for 1/2″ thick sheets, all the way up to $300 or more for the thicker sheets used for counter tops or butcher blocks. Compare these prices to the cost of using hardwoods, and you’ll quickly see that bamboo plywood is an affordable — and beautiful — alternative! 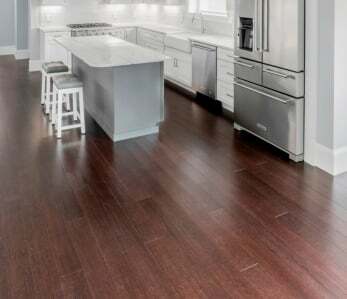 For the best on-line selection at the best prices, be sure to take a look at Ambient Bamboo Floors’ bamboo plywood line. We’ve got a variety of thicknesses from which to choose and we offer free shipping on purchases of 10 or more sheets! 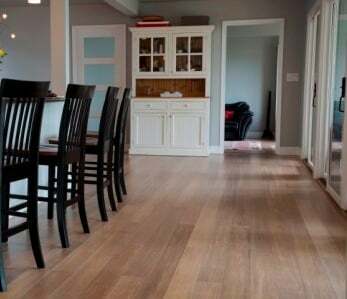 You’ll love doing business with Ambient Bamboo Floors! We’re rated and all of the products we offer are Lacey Act Compliant, which is your assurance that they’re all legally sourced with minimal damage to the environment. 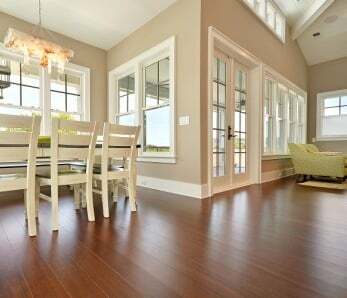 Unlike many of our competitors, bamboo flooring and building products are not our sideline — they’re our core business! And because we recognize the true value of our customers, we’re 100% committed to ensuring that they’re completely satisfied with every purchase!